This past summer, I happened to stop by a bookstore in San Jose, California. There I found a book called "Nostradamus and Predictions for the Latter Half of the 20th Century," in the Aulacese language, published by the World Publishing Company. By nature, I am very curious about spiritual matters, so when I got home, I read and reflected on every line in this book. Written 450 years ago, the predictions of Nostradamus attracted me greatly, and I was absorbed in the book. Each line was an amazing discovery, shedding light on wonders and mysteries that have yet to be clarified by other prophets. In the following passage, Nostradamus informs us that the true Master will come from Asia. The long awaited One will never return In Europe, but will appear in Asia. resounded in my ears very clearly and vividly. 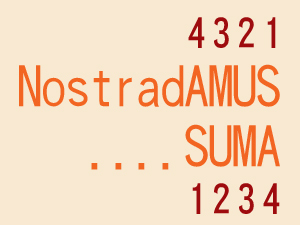 Suddenly, the title "SUMA" in bright light appeared continually before my eyes. An invisible and gentle force urged me to end my meditation early and go into the den to find the book by Nostradamus. The name Ching Hai means "pure ocean". In another section of the book, the author related Nostradamus' prediction to Shakyamuni Buddha's, saying: "The next great world teacher, who is given the name 'Maitreya' meaning 'friend,' will appear around the year A. D. 2000 and will restore momentum and power to all those seeking after Truth." At the Halloween celebration in October 1999 at the Los Angeles Center in California, I was fortunate enough to stand near Master. I said to Her, "Master, after reading a book on Nostradamus several times and after meditation sessions in groups and by myself, I know for sure that You are the Maitreya Buddha." Master looked at me as a gentle mother looks at her innocent child and jokingly said, "You have studied with me for ten years but you have just now discovered that?" Then Master smiled lovingly. I was floating on cloud nine. Master, I bow to greet the God in You. I am forever grateful to You for giving my family and I a chance to live in Your endless love and in eternal bliss.